This article originally appeared in the March 2013 edition of the UnityPoint Health – Des Moines Real Parents blog. 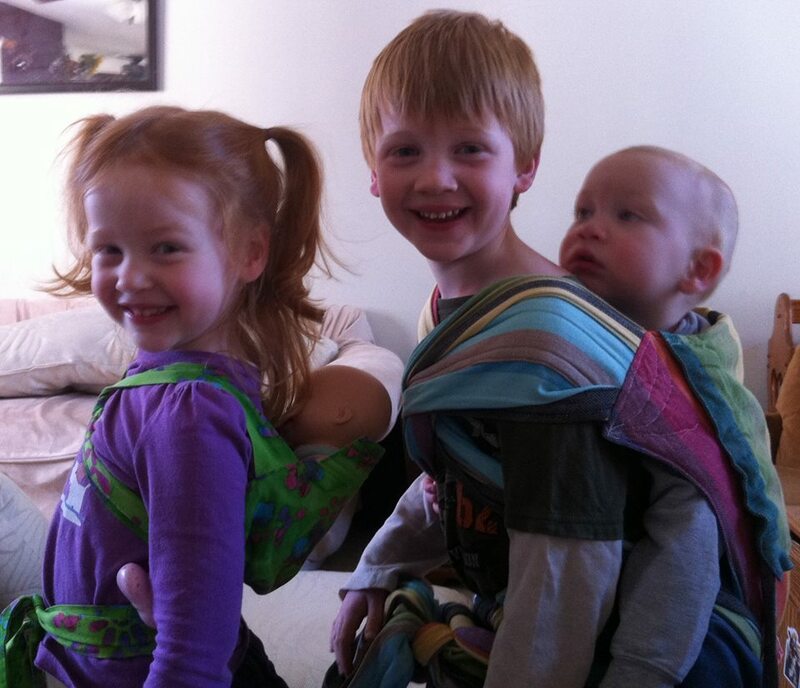 Since that time, author Melissa Wardell, delights in wearing all three of her children (now 6, 4, and 2) whenever they will let her and continues to add to her wrap collection, dreaming of more babies. Did you know that there’s a special name for when a parent or caregiver carries a child in any type of carrier where the child is strapped to the parent? It’s called babywearing! And there are lots of different kinds! I was blessed to spend a college semester in Ghana, West Africa. Nearly every woman had a baby strapped to her back, from newborns through toddlers It was my first exposure to babywearing, and I was completely fascinated! When we were pregnant with baby #1, I received a Baby Bjorn at one of my baby showers. Despite how happy the people looked on the box, Max and I found it profoundly uncomfortable. It caused some serious back pain for me, and Max never stopped screaming while he was in it. I decided after two or three attempts that this Baby Bjorn business just wasn’t for us, put it in the back of my closet, and forgot about it. Turns out there are why carriers like the Baby Bjorn are so uncomfortable for both mom and baby! Two years later, we had an active 2-year-old boy AND a newborn baby girl. I needed a way to care for her at the same time I was chasing after him! I don’t remember who recommended I check out the Moby Wrap, but whoever it was changed my life! Learning to wrap all that fabric around myself and Charlotte was definitely a challenge! But once we figured it out—hallelujah! My teeny tiny newborn was tucked safely and securely against my chest, and my arms were free to wrangle my 2-year-old couch-jumping, chair-climbing daredevil. 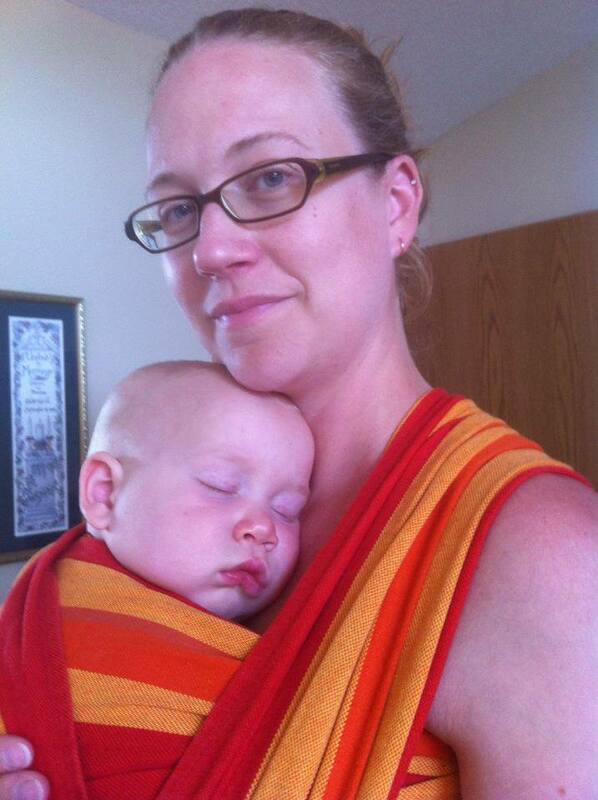 Melissa using a Moby wrap with a newborn. As babies tend to do, Charlotte kept gaining weight, and once she reached about 15 pounds, I just couldn’t get the super soft and stretchy Moby to work well for us anymore. 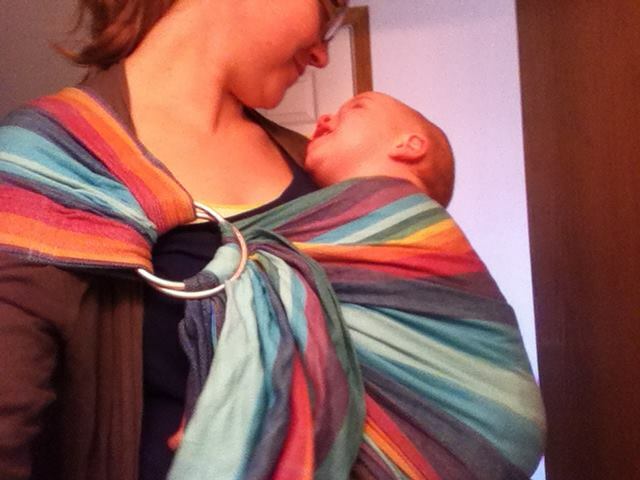 My friend, , a local babywearing expert, suggested I try a woven wrap. Similar to a Moby, a woven is a long piece of fabric. 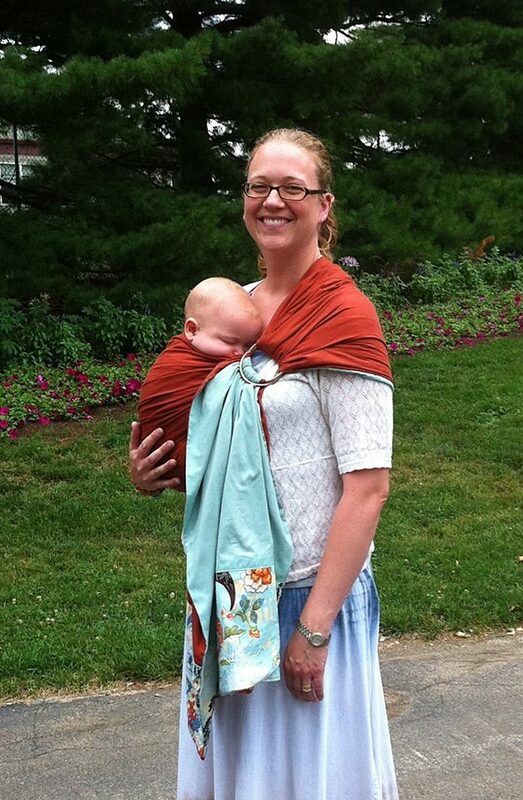 Unlike a Moby, a woven does not stretch, so it’s safe to use for as long as the parent wants to wear their child! And best of all, when wrapped correctly, a woven won’t hurt your back! Depending on the woven’s length, your list of wrapping possibilities is endless. Storchenwiege woven wrap in Albert colorway. With baby #3, my wrap world expanded again. This time, a friend introduced me to ring slings and I was smitten! 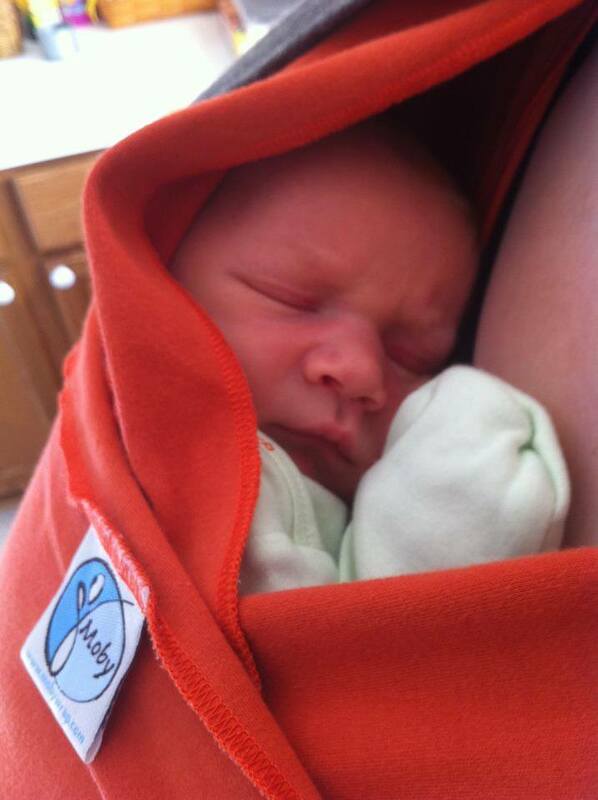 The joy of a wrap in the ease of a quick carrier! My ring sling is my go-to carrier. I keep it in my diaper bag and love how quick it is to pop Alexander in when we run errands, or just when he wants a few extra snuggles. 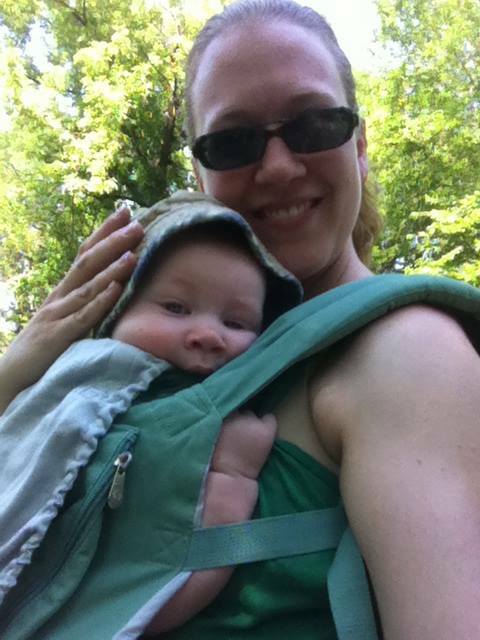 I’ve tried a few other carriers along the way—an Ergo, kelty, and a Mei Tai. Like anyone who babywears, I’ve found my favorites. 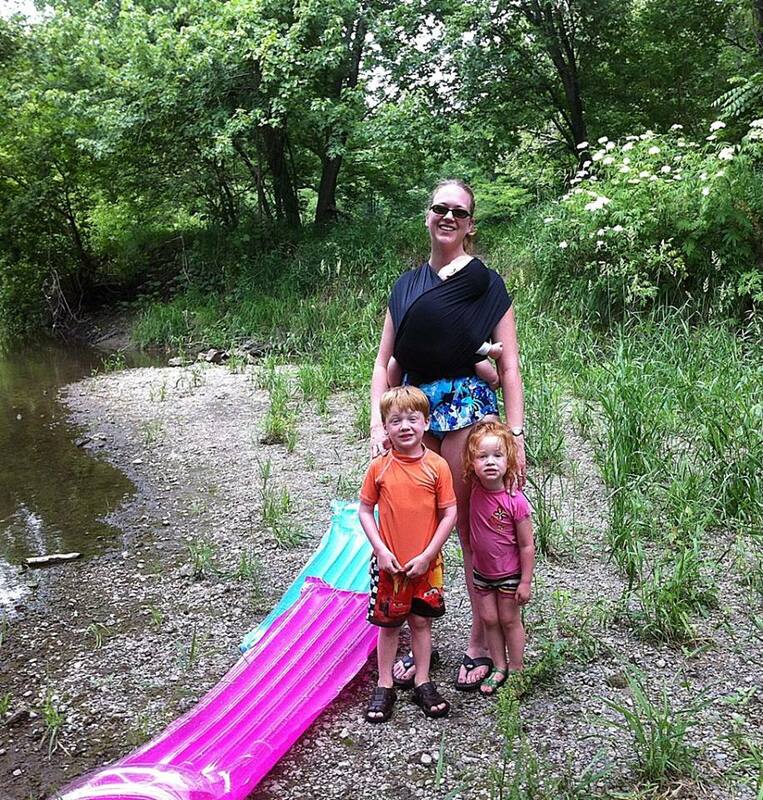 I’m proud to say I’ve passed on the babywearing love to my family. Charlotte loves to wear her dolls, and my boys roll with laughter when Max wears Alex for a romp around the house! 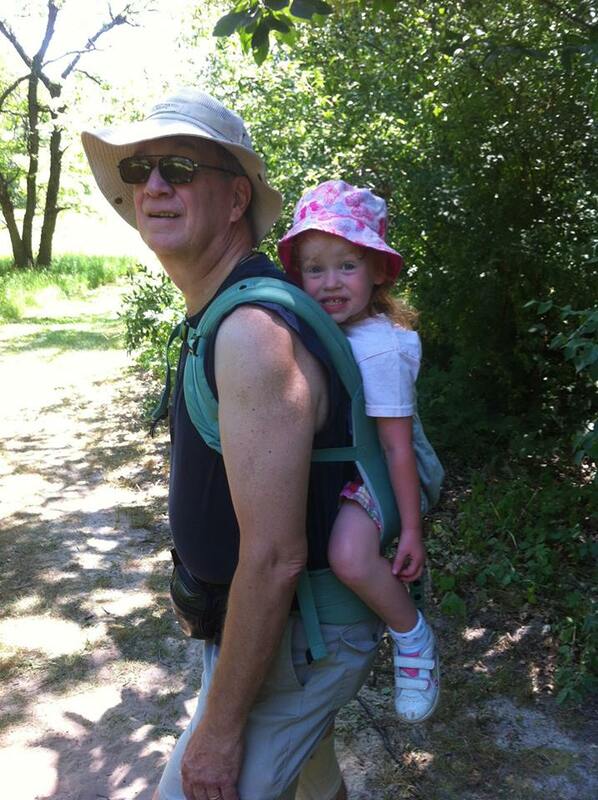 And last summer, I even convinced my dad to wear Charlotte while on a hike at Family Camp. I wouldn’t have learned all that I have about babywearing without the always-helpful folks at Little Padded Seats and the wonderful ladies of the Babywearing International of Central Iowa Chapter, formerly Des Moines Babywearing and Cloth Diapering Group on Facebook. We’re a fun group! Come join us! I bet you’ll even learn something!